Welcome to our Wonderful World of Energy! PranicHealing.org is the "Original Gateway" website (established as a primary information source in 2002.) for Pranic Healing - an Energy based modality – that today is also known as Pranic Energy Healing. Today, multiple schools teach both Pranic Healing and Pranic Energy Healing, with nearly two million references to this genre of Healing on the Internet. For many years, Pranic Healing or Pranic Energy Healing was secretly practiced and was shrouded in mystery. This is because during ancient times many people feared that Energy Technology using Vital Life Force or Subtle Energy - might be selfishly misdirected toward a practitioners own personal interests' or toward energetically "attacking" other people. Despite these limiting beliefs for many centuries, Energy based Practices were used by Shamans of various early civilizations, as well as by Egyptian Priests, Indian Rishis, Chinese Taoists, Tibetan Monks and many others. Pranic Healing or Pranic Energy Healing is a collection of Practices based on Ancient Knowledge and has been called by many different names – over thousands of years as demonstrated by "The Chronology of the Term Pranic Healing" - which begins with Annotations to the Upanishads. Some of these interesting names include but are not limited to: Prana Therapy, Prana Yoga Vidya, Yoga Prana Vidya, Prana Chiktsa (Treatment), Prana Therapy … and Pranic Energy Healing are all forms of Prana Treatment or Treatment using Vital Life Energy … Some also recognize Pranic Healing or Pranic Energy Healing - as a part of Chinese Traditional Medicine. "The External Medical Chi Kung School of Healing"
These forms of Energy Healing are also related to the "Laying on of hands" in the Christian Tradition and "Do In" in the Japanese Tradition. All of the aforementioned modalities use Applications of Energy in Treatment, however a distinctive feature of Prana or Pranic Treatments - is that a Practitioner does NOT Touch a Client during a Treatment Session. Various Practices originate in many cultures, and can be found in the early Vedic Literature of India as well as in multiple other ancient schools of Yoga and Esoteric Sciences. 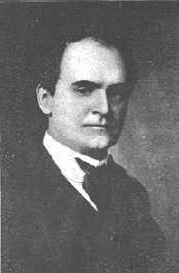 In Western Cultures, the aspect of Energy being transferable was widely written about in the books of a prolific author named William Walker Atkinson, who was trained as a Lawyer, and known to be a Freemason and Theosophist. William Walker Atkinson is credited in writing over 100 books. 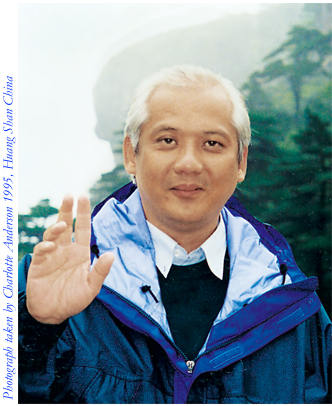 Like Master Choa Kok Sui, he also used several different Pen Names. "The general Principles of Pranic Healing rest on the fact that Prana may be transferred or transmitted from one person to another, in many ways. The usual method, and the most effective way, is to use the hands and make passes over the sick person, and at the same time directing a current of Prana to the affected part." The following Terminology and Concepts were Introduced by the American Author, William Walker Atkinson - under one of his Pen Names ... "Yogi Ramacharaka", and were also Adapted by and Extensively used by Master Choa Kok Sui. Pranic Energy Practitioners use Prana, Chi, Ki or simple "Energy" - Vital Life Force - to facilitate the Balancing or "Healing" of one's physical, etheric, emotional and mental bodies – without ever touching the physical body of the client. This technology springs from a basic concept that Subtle Energy or Prana, may be used to rebalance, align and normalize the flow of Energy within the human body, or the environment and it may be directed to assist in nearly any area of a person's life. In other words, when the Subtle Energy of a specific part or area is normalized, customary normal function may be easily & rapidly restored. When reading this material, Readers may substitute the term "Pranic Energy Healing" for Yoga Prana Vidya or Prana Yoga Vidya … in order to enhance their comprehension of the text or where usage of these terms may feel more culturally more comfortable. This may be done because all of these terms are generally synonymous with each other … within the context of the manuscript. By which ever name one choses to call this Modality – it has been demonstrated that Vital Life Energy may be used for multiple positive purposes - such as enhancing the quality of one's physical health, uplifting ones emotional and mental state, for harmonizing one's environment, to increase spiritual development – and it may even be used to increase one's prosperity. Today, positive usages of Subtle Energy have become commonplace. Subtle Energy Technology is now being applied to all areas of life -- to enhance one's health, one's wealth and one's happiness! PranicHealing.org is a website financed, constructed and maintained by Charlotte Anderson, who was the Life Partner and Spiritual Consort of Maha Atma Choa Kok Sui. Experience & Enjoy Our Wonderful World of Energy!